Top 5: LGBTQ+ Events in Birmingham in February 2019. Top 5: Theatre in Birmingham in February 2019. Free things to do this wknd ft. Outing the Past, Sunday Xpress & more.. Intelligent, innovative and unique, the sophisticated brash jazz and hip-hop of Delta Autumn is intoxicating live. Last year’s Autumn EP has been garnering airplay on BBC Introducing and it’s surely only a matter of time before they take off big time. Check them out here. Support comes from caffeine ingesting indie punkniks Coffee Breath. 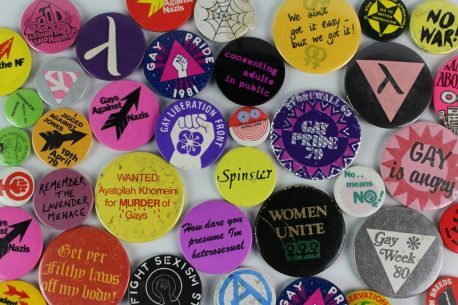 Part of this year’s National LGBT History Festival (see our full-length preview here), Outing the Past is a rare chance to learn more about real-life experiences and perspectives of LGBT life, delivered by a curated list of speakers from across the UK. Hosted in partnership with SHOUT Festival, which will showcase queer art and culture throughout Birmingham this weekend, there is also chance to take a tour of Birmingham Museum and Art Gallery’s Coming Out: Sexuality, Gender and Identity exhibition. Free entry with tea and coffee on tap, this weekend is a cultural celebration of queer lives and identities. The Dark Horse can always be counted on for some of the best live music in and around Birmingham, and club night Heducation is no exception. Teaming up with Jah Jah Sound, expect lots of hip-hop and reggae mash ups, featuring exclusive DJ sets from Robidon and Bongo Damo. The all-singing, all-dancing arts extravaganza is back once again at Centrala, the cultural hub of Digbeth. New faces are key to Sunday Xpress, and this weekend’s event is no exception. Sets from Two Bob Ted and Patched Parachutes will be followed by a headline set from Shaun Gambol Walsh and the Plagiarists. In amongst all of this, open mic and spoken word sessions will also be taking place, so come along and exercise your creative muscles. Kerrang Radio DJ Johnny Doom heads to Suki 10c this Saturday for a free party. Acting as the after party for local punk outfit Straight For The Sun’s headline gig, expect everything from classic and hard rock to punk and metal. Showcasing a mixture of the region’s fresh new artistic talent, the work at NAWM aims to create new artistic narratives, whilst challenging those that already exist. Featuring a carefully selected group of recent graduates from a variety of art schools, New Art West Midlands is an incredibly exciting insight into the future of the art world. Artwork featured ranges from painting to installation and manages to show a concoction of different styles and themes. NAWM will begin at the BMAG before moving on to Stoke and Coventry. See all our February Art picks here.